Today Angel and I ventured up to Philadelphia to pick up my race packet from the Rock n Roll Expo! Brooks really knows how to put on a fun time at their booth! They always seem to have such creative themes and really interact with the participants...I loved this expo theme! Giant Shoe Riding, Mount Crackatoe-A (think football fast feet drill ), and a free gait analysis...Also free swag!!! 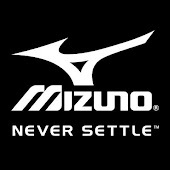 Even though we had fun at their booth I am still a loyal MIZUNO for life runner!! Yurbuds, Running Skirts ( 50% off all their clothing ), Hot Chocolate 15k/5k Racing Series ( giving out marshmallows dipped in chocolate, chocolate candies, and hot chocolate samples!!! 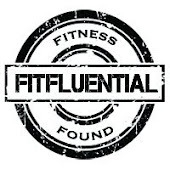 ).....One company that really impressed me was called FitBump...For all you soon to be mommies out there you need to check them out!!! 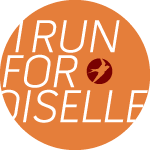 I really do not have a goal for this race and am using it more for a training run and pacing purpose. My goal race is MCM in October so this is a good race to get back out there and try to control my pace despite the crowds and excitement! Yes....I totally rode the Giant Sneaker! I think this was one of my favorite expos so far my only compliant was parking...I saw there was a special parking rate for the convention center but we were not given that rate... Oh well at least I did not have to parallel park my bus!!! Who else is running RNR Philly?? I am! This will be my third RnR Philly - love this race! I'll be at the expo tomorrow! Noel...I am very excited to do this race and since its your 3rd it must be a good one!! Have a great race!!! I LOVE point to point running!